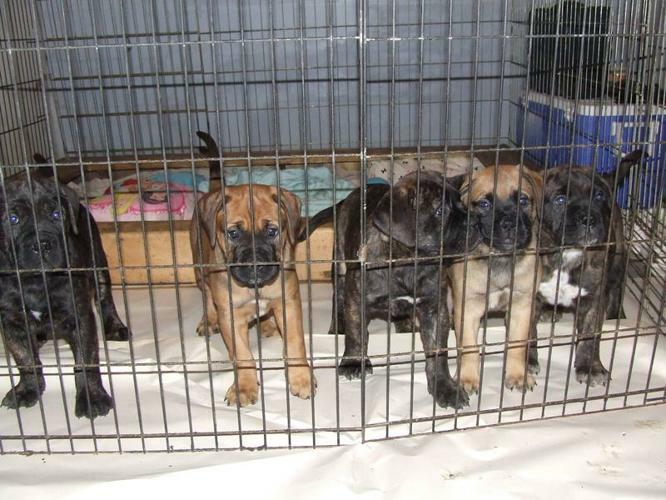 We have 2 bull mastiff puppies ready to go now. They have had there 1st set of vaccines and vet checked. 1 male and 1 female. Mother and father both on site. Any questions please contact. Am willing to deliver within a reasonable distance. (these pups are not registered) We are dropping the price. We need to find homes for these pups.. WANTED: NEW HOMES FOR VALLEY BULL PUPPIES!! !